Lost Photos 4 Masons Farm Market in Wexford, Pennsylvania. 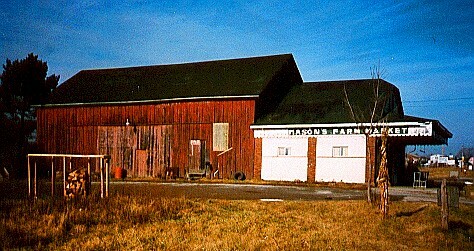 This old barn in Wexford, Pennsylvania was used as a farmer's market for many years. Torn down for a strip center, I believe.